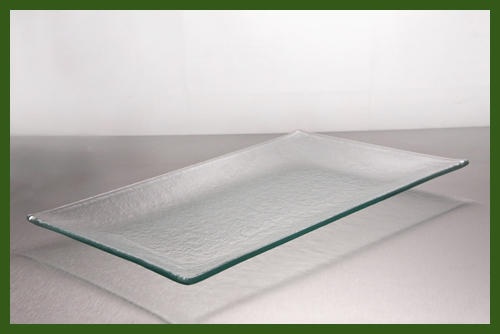 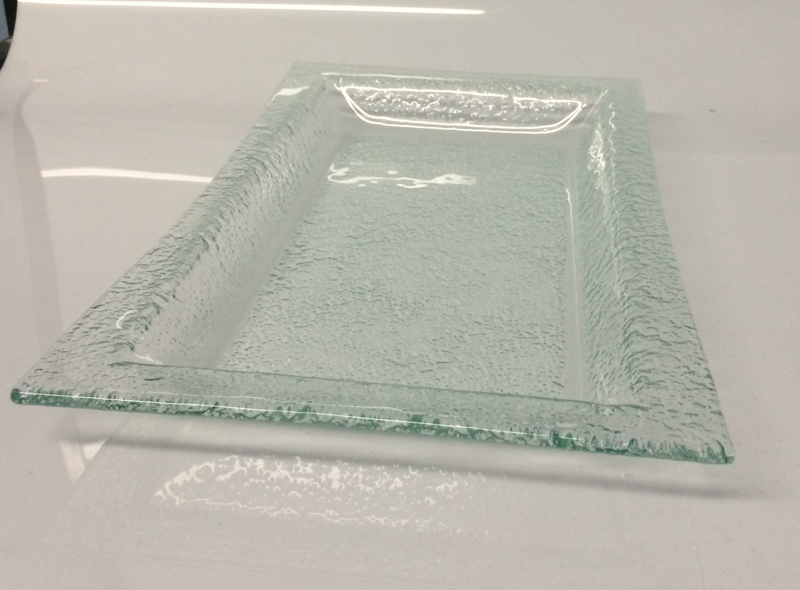 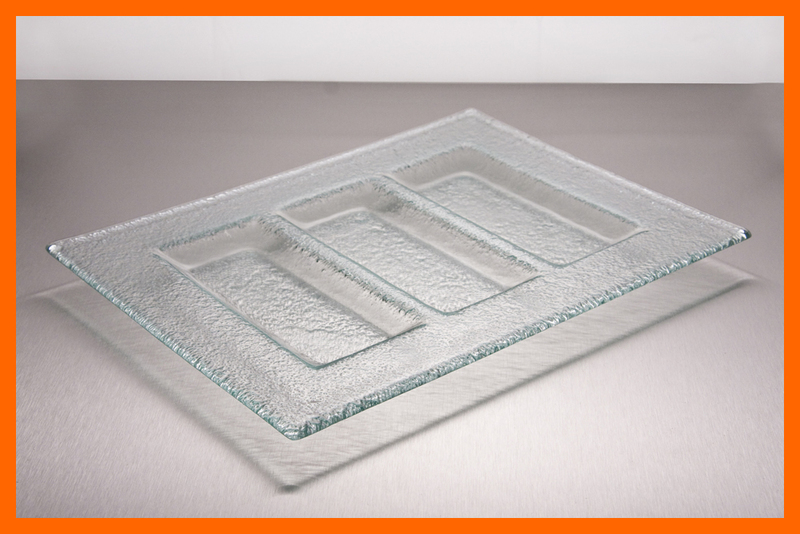 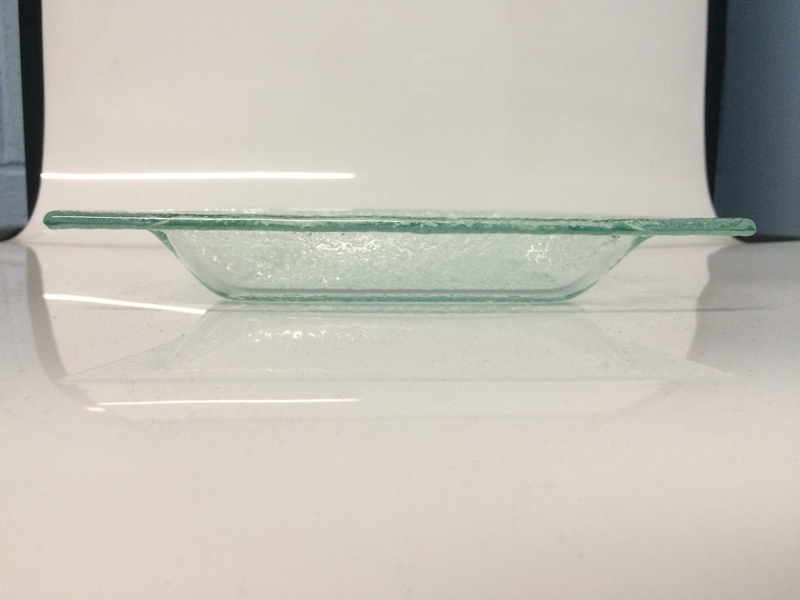 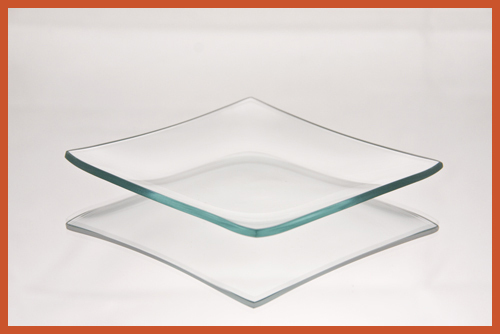 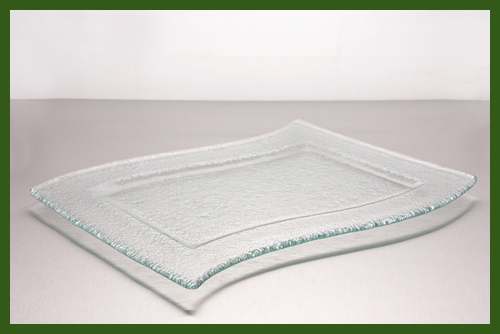 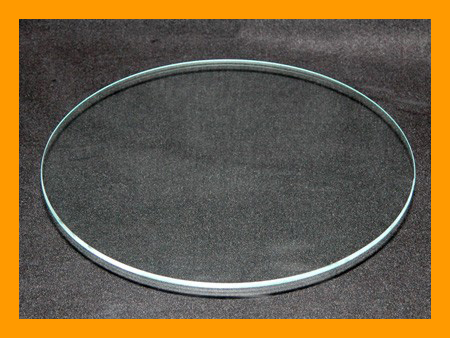 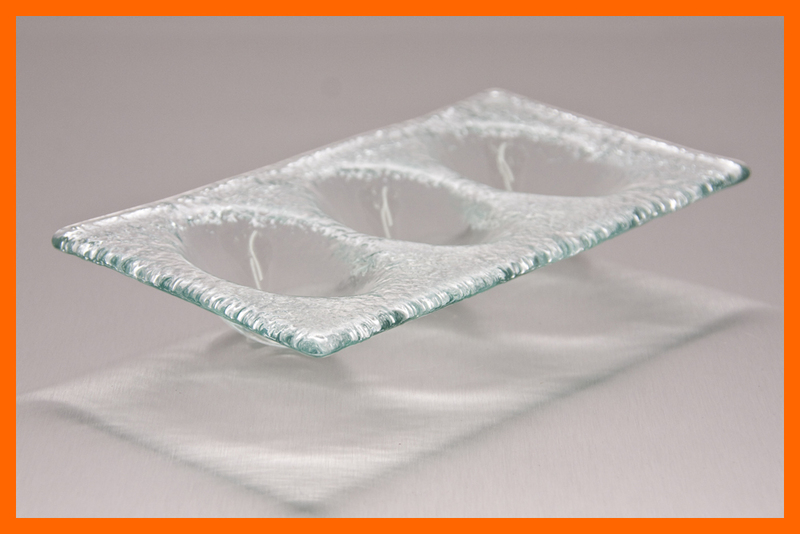 Home > Textured Glass Restaurant Plates > Rectangle > 7" x 14" Rectangle With Indent Clear Textured 3/16"
7" x 14" Deep Rectangle Clear Textured 3/16"
7" x 14" Rectangle With Indent Clear Textured 3/16"
Textured glass with a recess bend. 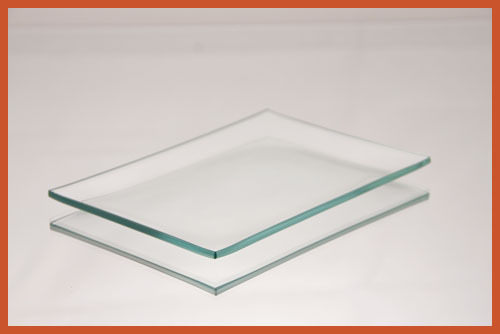 Approximate exterior size: 7 3/4” x 14 3/4” x 1 1/4” deep. 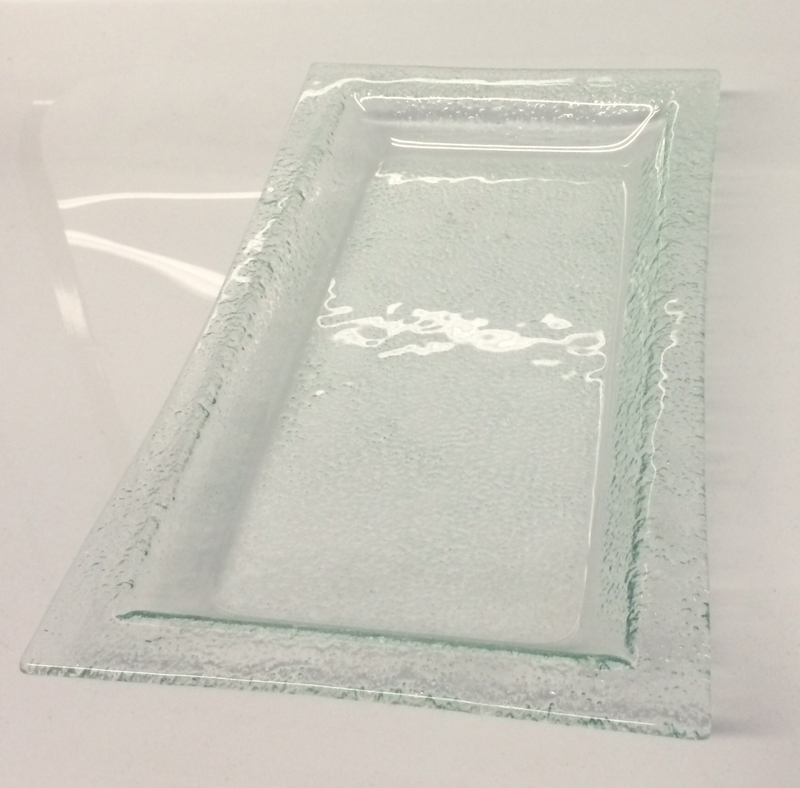 Approximate recess size: 6" x 11 3/4” x 1" deep (the size angles in as it reaches the bottom). 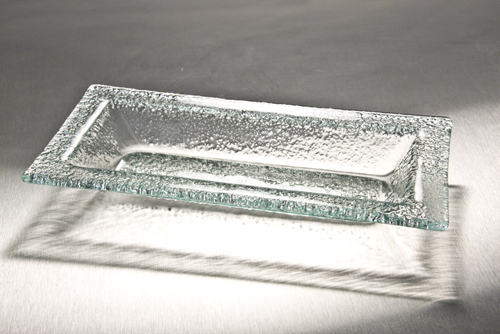 9" x 14" Rectangle Clear Textured 3/16"
9" x 12" Divided 3 Pocket Tray Clear Textured 3/16"